The black and sleek lines on this table make it blend in with any game room decor. This model is 48 inches in length, making it a great starter table designed to be used for kids but can be used for all ages. It is slightly smaller in design than some of the full scale tables on the market at 55-56 inches. 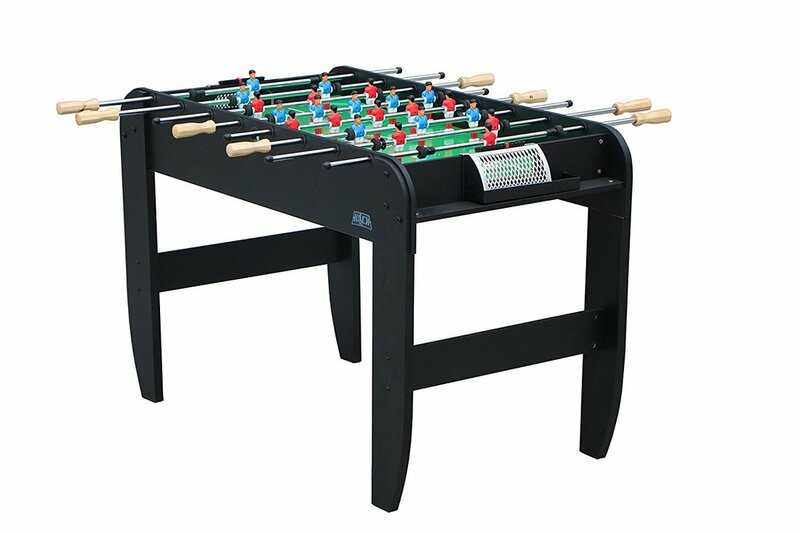 It features adjustable leg levelers under sickle-shaped legs, front ball returns, brushed chrome score counters, chrome-plated soccer goals and rods. You have the option to assemble the table using a single man goalie or more modern 3 man. This is a great starter table for your children! This table is priced at around $160 US.